Yehuda Persi requires further plastic surgeries on his head. "I still have pieces of shrapnel coming out of my body," he says. He’s right. On November 10, 2012, an anti-tank missile was launched on a Givati Brigade jeep in which commando fighters were patrolling. “Hamas will pay a heavy price,” said a senior Government official for the umpteenth time, but no one really believed him. However, the escalation following the event with Persi led to the outbreak of the military operation. Yehuda is the eldest of four children. Theirs is an orthodox family, Hannah is a housewife, Israel was a shift manager at the plant where he worked but he left to look after his son. At around 4:20 pm, Yehuda and his unit were driving along a curvy road, completing their patrol when a missile launched at them. It blew up on the hood of the car and shrapnel flew into Yehuda’s face. The tracker also got hit by shrapnel and the guy in the back seat was hit even harder. Everyone’s eardrums were damaged too. According to initial reporting of the incident in the media, the patrol jeep had been moving along the inner route of the Gaza District border, near Kibbutz Nahal Oz. Terrorists from the Popular Front who were located inside the Sajaiya neighborhood in Gaza, successfully launched an anti-tank missile from 800 meters away. The missile penetrated the side of the armored jeep and came out at the other end. 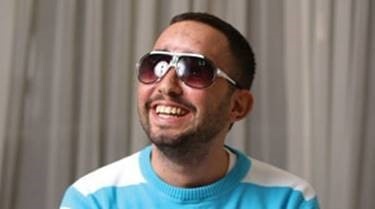 However, like many other young wounded, Yehuda made a surprising and speedy recovery. He woke up after only three days at the Soroka’s intensive care unit. After a couple of days he was transferred to the Neurosurgical Department where he spent the next two weeks until his release to the Rehabilitation Center at Tel Hashomer Hospital. He realized that his vision had been badly hurt. He knew he was blind. In the beginning he was told that his left eye was lost for certain but that they had transplanted a cornea in his right eye. There’s still a slight chance that he may have some vision in his right eye but the healing process is very long. When he was released from hospital, Yehuda’s wardrobe was rearranged. He knows exactly what clothes he has and tell his parents what he wants to wear each day. Yehuda can get around the house without help as he has committed its layout to memory. It’s important to him to be as independent as possible. Right after the incident occurred, IDF tanks responded with heavy fire directed towards the residential neighborhood from where the missile had been launched. This retaliation apparently was the cause of death of four Palestinians who had been sitting in a ‘mourning hut’. In response, more missiles were launched onto Israel. Four days later, on November 14th, Operation Pillar of Defense broke out. Gadi Yarkoni, a paratrooper combatant wounded in 1995 and blinded in both eyes has since become a physiotherapist and a marathon runner. His rehabilitation story is considered a very successful one both from a professional and personal point of view. He keeps in touch with Yehuda and gives him support and encouragement. 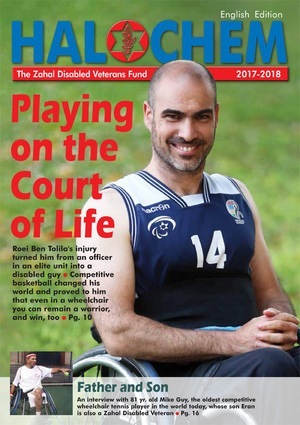 It’s part of a tradition of the blind Zahal Disabled Veterans who have built new lives with normal, healthy routines. Yehuda Persi remains hopeful that he will see again — even if just a little bit. Yehuda is a member of Beit Halochem and utilizes a range of their facilities. 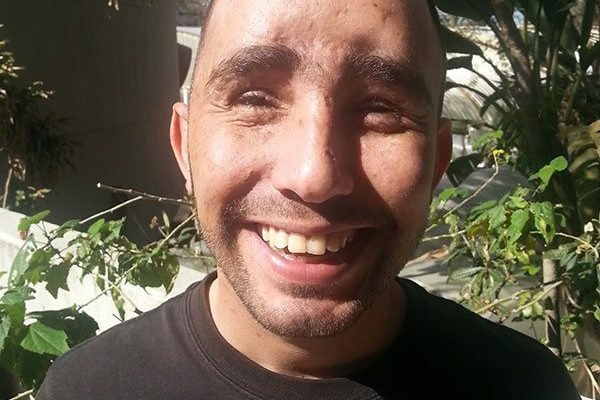 He is happy to be able to connect with others in similar situations to him.